Welcome to the Fit Small Business Xero training course! In this lesson, we’re going to cover how to create and manage expense claims in Xero. What Is the Importance of Creating and Managing Expense Claims? 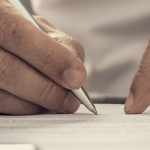 If an employee or business owner spends personal funds to purchase items for their business, they must complete an expense claim to be reimbursed. Expense claims are similar to expense reports in that you can submit multiple receipts on one expense claim. Example: If you attended a conference and you used your personal credit card to pay for airfare, rental car and hotel, you can submit receipts for all of these items on one expense claim to request reimbursement. While traditionally expense claims would be submitted by paper and processed by hand, Xero lets you create reports within the software and attach receipts digitally. Then, Xero handles all the accounting for you! 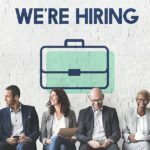 How Do I Create an Expense Claim? From the Accounts menu, select Expense Claims as indicated in the screenshot below. Step 2 – Click the “Add Receipt” button as indicated in the screenshot below. Create an Expense Claim in Xero. Step 3 – Complete the fields indicated in the screenshot below. A brief description has also been provided. Receipt from – Enter the name of the company as it appears on your receipt. Date – Enter the date on the receipt. Reference – This field is optional. You may include any additional info in this field regarding this purchase. Description – Enter the business purpose for this expense in this field. Quantity – If you purchased items you can enter the quantity purchased here. Unit Price – Enter the unit cost or total amount of the purchase in this field. Account – From the dropdown, select the account the purchase should be categorized to. 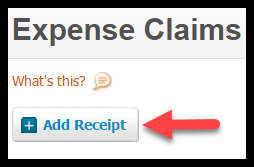 Note: If an account has not been flagged to “show in expense claims” it will not show up in the dropdown. To make this change, go to the chart of accounts and add the flag to the account. Tax Rate – From the dropdown, select the appropriate tax rate or leave the default rate as shown here (Tax on Purchases (0%). Tracking category (Region) – If you use tracking categories, select the appropriate category from the dropdown. Attach file – You can attach copies of receipts and other supporting documentation here. Add a new line – If you need to add additional line items, just click the “add a new line” button to do so. Save and Add Another Receipt – Select this option if you have multiple receipts that you need to enter. Note: The expenses do not have to be related for you to select this option. In the next step we will show you how to submit receipts for approval. Save – Once you have completed all of the fields, you can save. You can also save even if you have not completed all of the fields. Xero will not allow you to submit a receipt for reimbursement until all fields have been completed. Step 4 – All receipts that you have added will appear in the next screen as indicated below. Receipts that have not been submitted for approval will appear on the Current Claim tab as indicated above. The total number of receipts along with the total amount will appear as indicated in the above screenshot. Step 5 – Select the receipts to submit for approval by putting a checkmark in the box & click the “Submit for Approval” button as indicated below. Submit an Expense Claim for approval in Xero. Note: As mentioned previously, you can submit one receipt per claim or multiple receipts as we have done in this example. Step 6 – In the next screen, you can see the status of all expense claims that you have submitted. Status page for expense claims in Xero. All expense claims that have been submitted but not authorized for payment will appear in the “Awaiting Authorization” tab as indicated in the screenshot above. Once the expense claim has been approved, it will move over to the “Awaiting Payment” tab. If you have an Advisor role then you can approve, decline or delete your own expense claims as well as other employees. You can learn more about user permissions here. Follow the steps below to approve, decline or delete expense claims. Return to the Expense claims page by selecting Accounts and then Expense claims as indicated below. Step 2 – Click on the “Awaiting Authorizations” tab as indicated below. Step 3 – The following screen should display. Below is a brief description of the action that you can take. Checkbox: Put a checkmark in the box for the claim(s) that you would like to select. Approve: Click the “approve” button to authorize payment for individual receipts or the entire claim. Decline: You can decline payment for individual receipts or the entire claim. A notification will be sent to the person that submitted the claim. Delete: You can delete a receipt that you do not wish to pay. A notification will be sent to the person that submitted the claim. Approved Total: Based on your selections, Xero will automatically calculate the total amount of the claim that you have approved. Delete Expense Claim: This will allow you to delete the entire claim which will send a notification to the person who submitted the claim. View Expense Claim Summary Report: This report is an aging report for all expense claims. It will show you all of the unpaid expense claims and the number of days they have been outstanding (unpaid). Below is a sample Expense Claim Detail Report for our fictitious company Acme Web Pros Plus. Expense Claim Detail Report in Xero. Authorize Expense Claim for payment in Xero. After payment has been authorized, you can pay the expense claim by check. You can learn more about this here. If you manage your payroll in Xero you can reimburse an employee’s expense claim using payroll. That wraps up the section on how to create and manage expense claims. The next lesson in our Xero Training Course will be How to Create a Bill. In this lesson, we will walk you through how to create and manage supplier bills. To access this lesson or any of the others in the series, click here. For a free 30-day trial of Xero, click the link below. Is there a way to send a client an expense claim report with images of original receipts? Hi George, great question. I know that you can capture receipts as images using the Expense app. However, I am not familiar with a process that allows you to send an expense claim and the supplemental receipts to a customer. I recommend that you reach out to the Xero support team who should be able to quickly get you an answer to this question. 2. connecting paypal to bank and then to xero. xero automatically send the invoice saying this is invoice for sale online via paypal. thirdly if ihave to send multiple invoices to customer whoever already paid , via xero is it possible if so how? 1. You should connect your Paypal account directly to Xero so that you can easily reconcile that account just like you would any other bank account. 2. I don’t quite understand your question regarding whether or not an automatic invoice can be sent from Xero once a payment is made in Paypal, can you clarify what you mean? 3. You can definitely send multiple invoices to the same customer but are you referring to tracking multiple payments for the same job? If so, I recommend you set up one big invoice and then just apply payments as they come in. This will be much easier to track then creating multiple invoices for the same job/project. Must every employee who submits expenses log in to their own account in Xero? Is it not possible for only the bookkeeper and business owner to have logins? Must you really make a login for every employee to properly track expenses? Hi Paul! Great question. No, you do not have to give every employee access to Xero to submit expense claims. You can designate a bookkeeper or business owner to process all expense claims. Thanks for watching our tutorial on How to Create & Manage Expense Claims in Xero!